In a move certain to draw hordes of people to the service, Microsoft has announced their latest "Game with Fame" promotion. 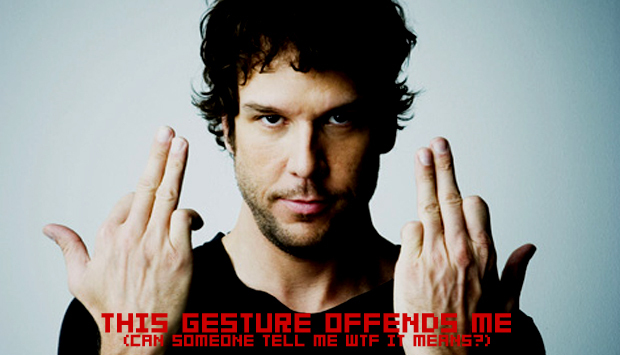 This coming weekend, players of Modern Warfare 2 will have the opportunity to play the game with none other than Dane Cook. I'll give you a moment to get over your excitement. We ready? Good? So, I'm just going to put this out there and see what you all think. I don't want to play a game with someone who even casually entertains the thought of Dane Cook being funny and/or someone they would like to spend ten minutes talking to. So, it's my suggestion that we all just stay off of Xbox Live entirely during the hours of 7 - 9pm (PST) on December 27th. You know, just to be safe.